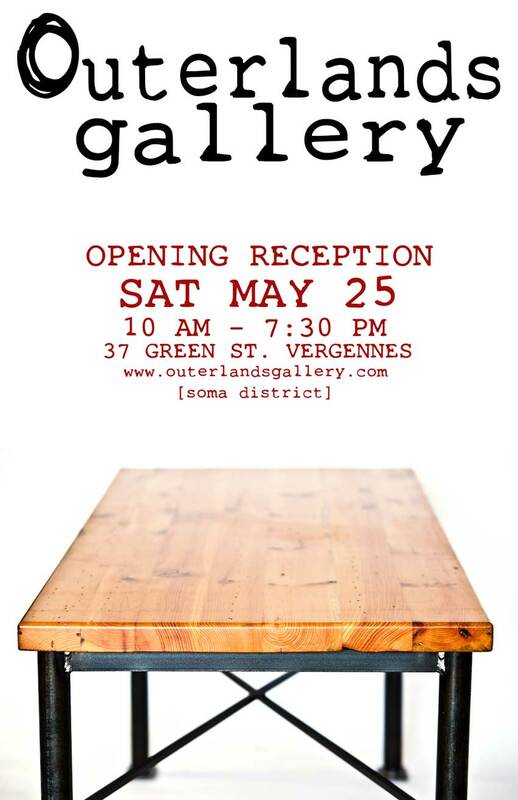 Join us at Outerlands Gallery for our Grand Opening Reception on Saturday, May 25, 2013. We’ll have delicious appetizers from 3 Squares Cafe and dessert from Daily Chocolate. After, you can head next door to Antidote for drinks and to see more of the Outerlands show–15 abstract paintings by Ross Sheehan are currently on exhibit at Antidote. We are participating in the VT Open Studio Weekend and will be open special hours for the Vergennes Memorial Day Weekend festivities as well. This entry was posted in Blog and tagged 3 Squares Cafe, Antidote, Art Studio, Burlington, Contemporary Art, Daily Chocolate, Gallery, Memorial Day, Outerlands, Vergennes, Vermont Artist, Vermont Open Studio, VT Open Studio, Weekend.